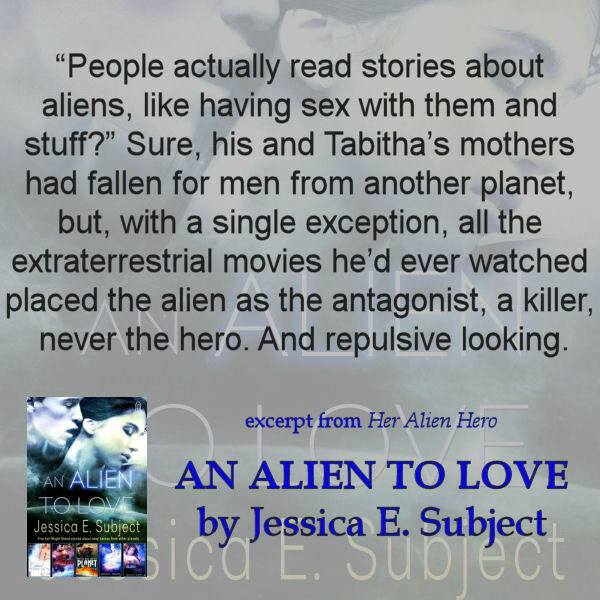 Of the many alien romances I’ve read and seem, the majority of them are abduction stories. 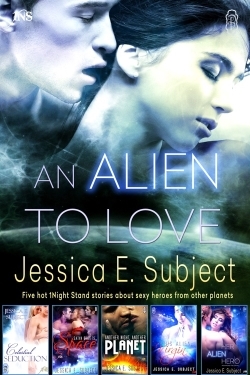 They are about hot Alpha aliens who are in search of a mate yet have limited options on their own planet. So, they abduct a female from Earth or another planet to be their mate. Generally, the heroes are kinder than their companions, and even though the female is far from home, she falls in love with her captor over time. In other types of alien romances, the extraterrestrials arrive on Earth, or people from Earth make contact with beings on other planets. This is the type of stories I often write, and the first interactions are generally more tentative. Sometimes, when first contact is made, the person from Earth doesn’t even know the being they are looking at is from another planet. That comes later when trust is established. That brings me to what these hot aliens look like. Because how can anyone fall for a being that looks like it’s going to devour you rather than make love to you? In sci-fi romance, humanoid extraterrestrials are very popular. They generally look like us, with two arms, two legs, a head, and the same sexual organs. (They might even have both male and female parts.) Though, there may be slight differences. For example, in my debut story, Celestial Seduction, the hero Frey had all black eyes, and blinked sideways. His skin was blue, and even though his skin shone like it had scales underneath, it was smooth. His sexual organ was slightly different than a man from Earth, but it only added to the heroine’s pleasure. The humanoid aliens in sci-fi romance may have different colored skin, or something other than the skin we know. They may have extra body parts, or appendages of varying sizes. But, they are generally bipedal, which makes interaction with us from Earth so much easier for the author to write, and for the reader to visualize. Especially during intimate scenes. On occasion, I do come across a story, or write one, where the alien is not humanoid. Tentacled aliens are very popular in sci-fi erotica. In these stories, the alien generally looks human when we are first introduced to them, but then they shift into their true self, or they are able to hide their tentacles, and reveal them when they want to get intimate. In a story I wrote earlier this year, I have both humanoid and non-humanoid aliens, but the non-humanoid ones generally have some humanoid qualities. For example, one of my aliens in Cosmic Sutra is an insectoid. He resembles a giant praying mantis. But, his personality is very much like a human, and he does have an appendage that resembles a phallus. Another fabulous example would be the Mantis in Sharon Lynn Fisher’s The Ophelia Prophecy. In sci-fi romances, you will generally not find giant bugs carrying machine guns, or ready to shoot you with their goop. Aliens will not be flying their spacecraft to Earth to destroy the planet while waving their tentacles around. At least not as part of the main plot of the story. The aliens will generally have some humanoid qualities, no matter what they look like, and overcoming the differences between them and the situation they’re thrown into is generally the heart of the story. So, tell me, what is one humanoid quality you think aliens MUST have in a sci-fi romance, and what is one quality you think MUST be different. Please Note: Contest is international. No substitutions can be made. Must be 18 or over to enter. Void where prohibited by law. The deadline to enter is July 15, 2015. Good luck! Click here for more information about AN ALIEN TO LOVE as well as buy links.